Mary-Jane and Peggy-Sue are the alter egos of Ryane Disken-Cahill ’12 and Sarah Dwider ’13. They make an appearance every Sunday night in the attic of Parrish to DJ the Neat Hour on WSRN. Peggy-Sue and Mary-Jane ran away from home at the age of fifteen to become background dancers on American Bandstand. When this plan fell through due to a general lack of coordination, and despite countless hours of practice with hula hoops, the two had to redirect their talents. Mary-Jane now works as a counter girl at the local Macy’s, while Peggy-Sue (a beauty school drop-out) searches for a new career. In their spare time, they enjoy embroidering dress collars, perming their hair, and throwing water balloons at the local school children as they pass by their window. We hope you catch the dancing bug while listening to this mix. 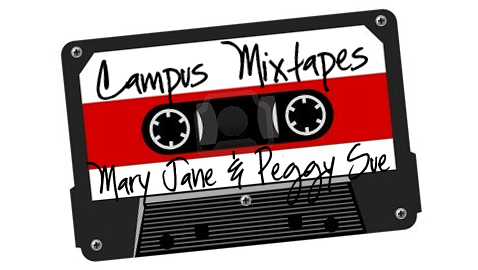 “Campus Mixtapes” is a feature highlighting the musical tastes of different people at Swarthmore. To nominate someone, please email Kat Clark ’12 (kclark9).